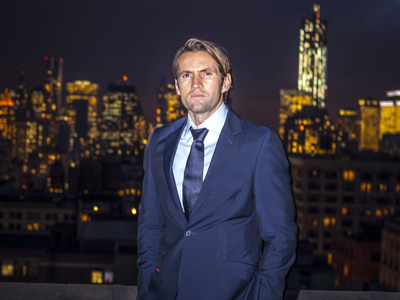 In August last year, Huffington Post CEO Jimmy Maymann was promoted to oversee all of AOL’s content and consumer brands. That includes everything from TechCrunch, to AOL.com, to parent company Verizon’s video streaming service Go90. 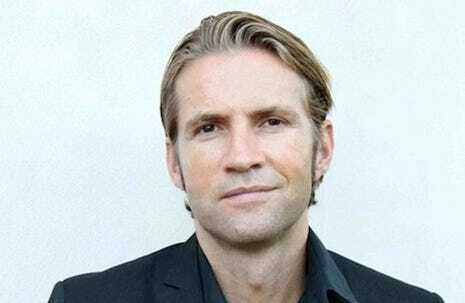 We caught upp with Maymann at the Cannes Lions advertising festival this week to discuss how he’s settling in, what big plans he has for AOL, and his thoughts on some of the other biggest topics in media right now — from the Gawker/Hulk Hogan trial, to the recent report on media agency rebates. Jimmy Maymann: That is correct. 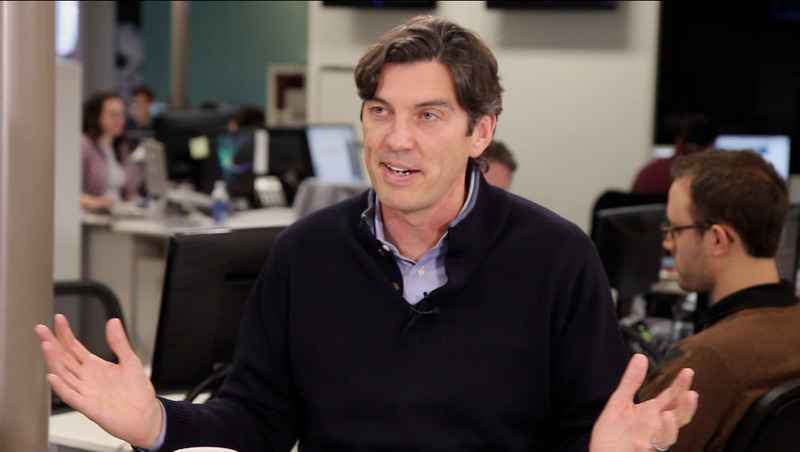 What happened was, on the back of the Verizon acquisition last summer … Tim [Armstrong, AOL CEO] and I had a conversation with Verizon about what we wanted to do on the content side of the business. Both in terms of what we already have in hand … but also where we wanted to go. The good thing, from my perspective, is Verizon acquired AOL not only for the advertising technology — which has been rumoured that: ‘oh, they were only interested in the advertising technology’ — they were very excited about the content part of the business as well and how we could accelerate that even further but to do that we needed someone to take responsibility. We have three pillars: we have HuffPost; we have Hive brands, which is all our independent brands, and we have AOL membership and home, which is the traditional legacy AOL business, so to say. So that whole structure has been made and now we are moving to the next phase because we have put ourself in a place where we are able to grow organically but also knowing that we want to get to 1 billion people. That’s not going to happen organically so we are going to be more aggressive with M&A and with helping us accelerate on the healthy platform we have. Obviously technology in general has become much more pop culture. If you think about the HBO series “Silicon Valley,” TechCrunch was obviously heavily featured. That obviously also opens up much more of the audience for us. It’s a limited niche audience if you’re just covering new startups and entrepreneurship. O’Reilly: Isn’t that a good thing, though? That’s the difference. 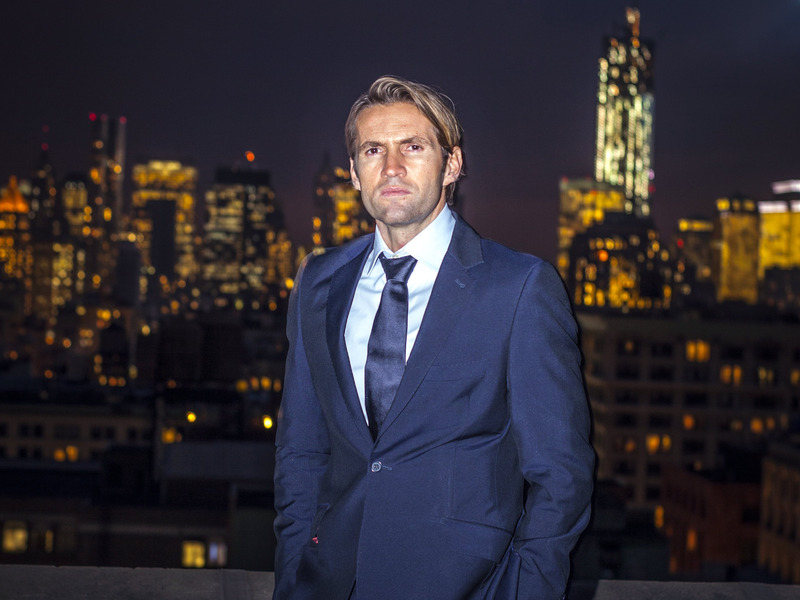 Maymann: That is our DNA but at the same time we can definitely do things off the back of that, that will open up other doors where other people can come in that really build on it, so I think that’s a fair way to look at it. O’Reilly: Do you do that by acquiring talent, or utilising the talent you already have in different ways? O’Reilly: Talk to me about Facebook Live, then. Lots of publishers are experimenting with it. Is it a worthwhile investment? You might reach a lot of people, but is that comparative to TV views? Facebook is paying publishers to experiment with Live as well, one way of looking at that is: great, some income. The other way of looking at it is: ah, now we have to actually produce this stuff that we weren’t doing on our own platform. How do you view that gamble? Maymann: I think for us it’s not really a gamble, we have actually been bullish on live ever since I was at HuffPost. If you recall in 2012, we actually launched HuffPost Live. 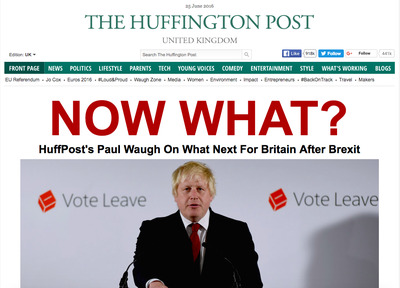 We did eight hours of live and are still doing huge amounts of live programming across HuffPost. We have actually been leaning into it before it became this huge thing that it is right now, which obviously makes it easier for us because we have a good perspective of what works across our properties. We have huge streams of live content that obviously we can take and put it across Facebook Live and other places so it’s not like we have to go and create something from scratch. If you have to start from scratch, obviously, it’s a bit of a bigger gamble because you have to find your way and find out what exactly connects with an audience. It’s not just Facebook Live. You’ve seen the huge rise of Snapchat video over the past year, from zero to almost 10 billion video views. So obviously, and it’s a very, very different platform from Facebook, right, it’s a different way of doing things … different demos, different ways of activating these people. O’Reilly: I remember at Huffington Post you were talking about this idea of personalisation and this idea of serving a different homepage to each user. Is that still something you believe in? Does that work across the AOL portfolio as well? Maymann: Yes. So it is something that I’m a big believer in because I can actually see that it’s something that allows us to deliver better experiences to the people that come to our properties. On any given day across all our properties we have around 2,000 pieces of content, so that’s more than enough content. The thing is just like when you go to YouTube, when you have 500 hours of content uploaded every minute … it’s information overload. How do you make sure you get the right content in front of the right people at the right time? I think that’s where passive personalisation really becomes key because social media has been great in the sense that it has put a spotlight on content would not necessarily draw big audiences. But at the same time, when they arrive on Business Insider or something else, they might arrive out of the feed, only for that story, and then disappear so it’s hit and run. But with passive personalisation what you’re able to do all the time is to actually give a better experience and give you something that’s relevant. When you arrive on this story, you find something that’s also relevant … Then you get them into a funnel and, a little bit like Amazon, without locking in, we get better and better at predicting what you hopefully like and what kind of content we should get in front of you. Passive personalisation is getting more and more important. and is something that we have. We acquired a company called Gravity a couple of years ago that actually sits in my portfolio and works across all our content brands to optimise for this and create better-personalised experiences. O’Reilly: A couple of weeks ago the Association of National Advertisers released its report into [non-transparent] media agency [behaviour, like not disclosing] rebates and it’s been a topic of conversation around Cannes. What was your reaction to the report? Maymann: I did see the report and I think in general the agencies we are dealing with, whether this is a big issue, it’s not something that we are seeing in general. We have a very good relationships on the agency side and the advertiser side. I think also you are at a point in time where adding value to the advertiser’s business is becoming clearer and clearer so I think honestly it’s something that will even itself out. I don’t think it’s something that should be a big worry for advertisers, at least not with what we are seeing. O’Reilly: You mentioned M&A might be an option for you this year. Where do you need to fill gaps? What are you on the hunt for? We took over Microsoft’s properties, to monetise those and their ad sales team, which gave us reach and scale in markets where we were not in. So we are now in 22 markets globally and I think that matters if we want to be in the top tier from a media/publisher perspective. We need to have scale and we need to make sure we scale in the right kind of markets. So things that can give us geographical scale is important. O’Reilly: What was your take on the Gawker case [in which Hulk Hogan successfully sued the media company for damages in a trial that was funded by billionaire VC Peter Thiel]? 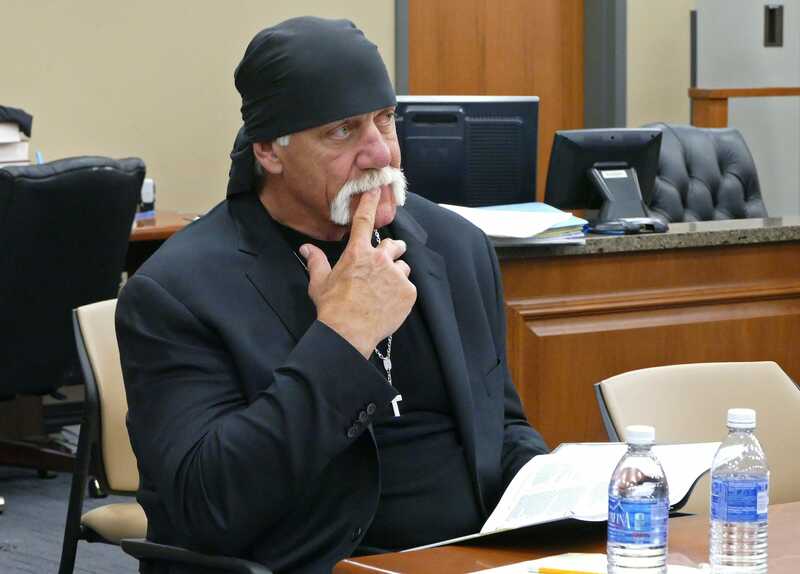 Scott Keeler/The Tampa Bay Times via APIn this Tuesday, March 1, 2016 file photo, Terry Bollea, known as professional wrestler Hulk Hogan, watches potential jurors at the Pinellas County Courthouse, in St. Petersburg, Fla., as jury selection began in his case vs. Gawker Media. Maymann: I think it’s a highly debated case in the US. Obviously Gawker, their editorial line has been very progressive, so to say, in the way that they have gone after people. That being said, of course, I’m not sure it’s a good thing when you have people with very deep pockets that are getting behind and trying to take down media organisations. I think media organisations are here to keep people and organisations and governments accountable. When media really works that’s what media does. Then I think also sometimes they can step over the line. But if we start to take all media companies down that are holding people to account, or being critical, then as a society and as a democracy I think that’s problematic. So that’s my point of view on that. O’Reilly: Are you doing anything interesting in the VR space? Maymann: We are. What sparked out interest in the space, five to six months ago we acquired this company called Ryot which is an augmented reality, VR, 360-immersion video company. It’s run by this amazing guy called Bryn Mooser who used to work at the Peace Corps for 10 to 15 years, then saw what technology could do in those areas and started to produce content … and this year was nominated for an Oscar award. O’Reilly: How long until VR comes mainstream enough for you to be able to make money from it? Maymann: Obviously you can think about it the way you just asked the question: everyone needs to have the Oculus Rift or the Samsung Gear, otherwise you’re not going to really have the full experience. That’s correct if you really talk deep VR. Bryn showed how they had used $400 GoPro cameras to create these kinds of experiences and that makes it very accessible to news organisations, to individuals, to brands to go out to experiment and create these kinds of immersive experiences. That’s, in the short term, very, very exciting and interesting. Then of course eventually we will run around with Oculus headsets, but that’s not something that will happen overnight. Since we acquired Ryot we have focused on integrating with HuffPost so we now have VR equipment in all our 16 offices around the world, we have the capability, so any given day we can go out and shoot at 2-minute thing that we feel could connect an audience better to a story. So that’s the kind of commitment to it. O’Reilly: How much input do you get from Verizon on the content side? Data? Go90? Maymann: Go90 had a lot of content deals when we were acquired and we are leveraging those content deals across our owned and operated properties. So that’s fantastic to get some more premium content that you can share across to your audience. O’Reilly: How do those deals work when it comes to premium content? I imagine a lot of those were thrashed out before the acquisition? Maymann: You’re right on that: some of those things, it’s easy to carry over, on other things we are in the process of going back and renegotiating those things. Obviously we have an interest in trying to line up all that content.